"Hugely impressed – they really went the extra mile for me." "Fantastic service – would highly recommend." "The third time I've used this company – can't recommend them enough." The comments above are just a select few of the positive comments we've received from our supply of happy clients. Thousands of homeowners are suffering because their cavity wall insulation was either badly fitted, or should never have been installed at all. If your landlord has failed to repair your home and this has caused similar problems, you may also be able to claim compensation. Poorly fitted cavity wall insulation can act as a bridge for water to penetrate the walls of your house. So instead of keeping you warm it makes your house colder and damper. This leads to issues like mouldy furniture and unpleasant smells and possibly more serious problems like breathing difficulties and asthma. 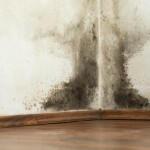 Homes that have been neglected by the landlord may also suffer from leaking gutters, rotten window frames or cracked walls that can also lead to damp and mould. In some cases these issues can have serious results, such as subsidence or structural problems. 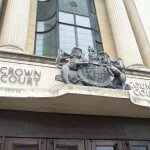 PM Law has an experienced legal team who are experts in property law and landlord/tenant issues. We will advise you whether you have a claim to compensation and we'll help you through the process. To discus matters further please don't hesitate to call our team on 0114 220 1795, or use the enquiry form on the right, and we'll be happy to discuss your requirements in further detail and confirm how we can help. For You. For your Family. For your Future. Specialist cavity wall compensation, Landlord neglect and Claims solicitors. We are a full services law firm dedicated to our national client base. 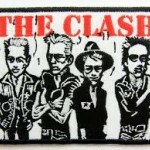 The rock group the Clash sang a song entitled, "I fought the law" with the lyric, "I fought the law and the law won". And with an ironic twist the bands former manager, and ex wife of the lead singer, took her ex husband to court in order to free herself of her legal obligations. A Welsh lady has claimed her property is partly uninhabitable, and has led to health problems, which arose after a Government scheme to insulate homes backfired. Thousands of complaints have been made as a consequence of the insulation material aledgedly leading to damp, mould and condensation. 'Banter' used by lawyers and archaic language such as 'learned friend' should be avoided in court proceedings to help laypeople struggling to cope with the experience. Our #Maidenhead solicitors can handle your conveyancing work if you're ready to take the plunge with your first property investment. If you're looking to buy or sell a property or re-mortgage your current home, our #Maidenhead conveyancing solicitors can handle your case.